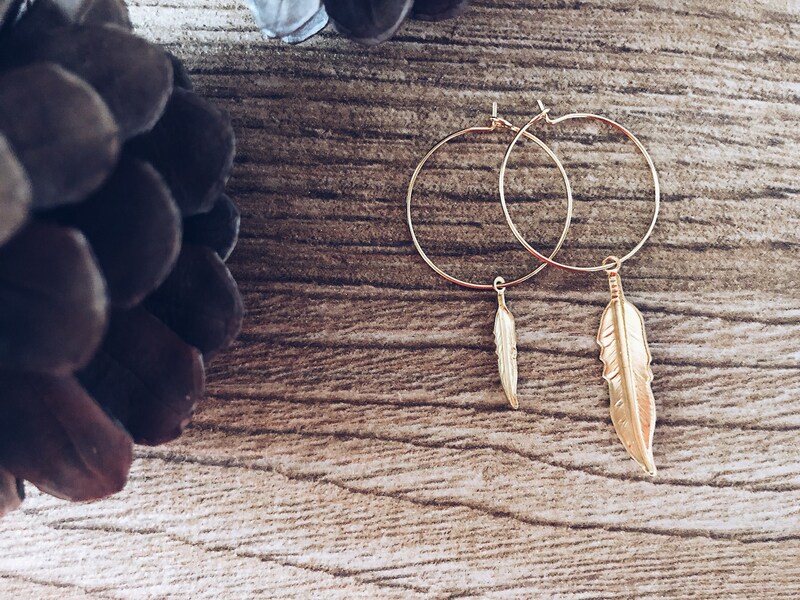 These earrings are made of yellow gold-plated brass circles and feather pendants always made of brass. The earrings are sold in pairs. TWO RIMS will be shipped with a larger and a smaller feather pendant.